Lindapter decking supports are designed in conjunction with the various decking manufacturers. 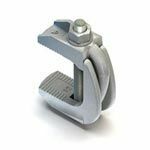 The rail clamps Type Lindapter HD spring rail clips facilitate precise alignment of the rails by allowing a high degree of stepless lateral adjustability. 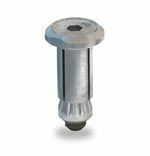 The countersunk bolt version of the Hollo-Bolt is suitable for hollow sections or conventional steelwork where access is available from one side only. This company supplies Products & Services in the Architectural, Building & Civil, Petrochemical, Oil & Gas, Transportation industries.